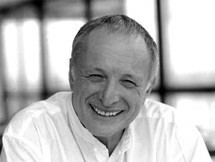 Richard George Rogers, Baron Rogers of Riverside (born July 23rd, 1933) is a British architect noted for his modernist and functionalist designs. 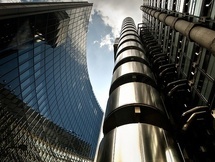 Rogers is best known for his work on the Pompidou Centre in Paris, the Lloyd's building and Millennium Dome both in London and the European Court of.. It was designed by architect Richard Rogers and built between 1978 and 1986. Bovis was the management contractor for the scheme. Like the Pompidou Centre (designed by Renzo Piano and Rogers), the building was innovative in having its services such as staircases, lifts, electrical power conduits.. 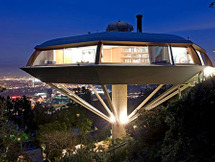 The Chemosphere, designed by American architect John Lautner in 1960, is an innovative Modernist octagon house in Los Angeles, California. The building stands on the San Fernando Valley side of the Hollywood Hills, just off of Mulholland Drive. It is a one story.. 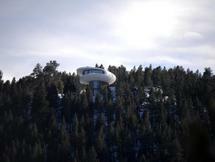 The Futuro House, is a round, pre-fabricated house designed by Matti Suuronen, of which about 100 were built during the late 1960s and early 1970s. The distinctive flying saucer like shape and airplane hatch entrance has made the houses popular among collectors. The Futuro is composed of.. 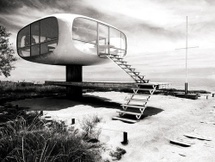 The house began construction in 1963, with..
Lifeguard Station can be found on the beach in Binz, on the German island of Rügen. Designed by the architect Dietrich Otto and the engineer Ulrich Müther. 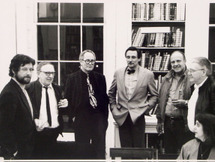 Completed in 1975. The Cloud is an organism for living. Designed by Coop Himmelb(l)au in 1968, although the project was fully detailed, it remained in 'project' status. The structure is mobile, the space can be modified. The building materials are air and dynamics. 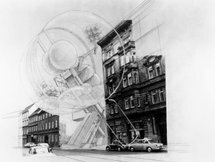 The Cloud places emphasis on technique as a..
Archigram were a collective of British architects established in the sixties and dissolved by the mid-seventies. Despite never having a realised project, they created some of the 20th century's most iconic images and projects, rethought the relationship of technology, society and.. 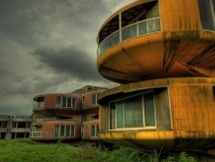 The Sanzhi UFO Houses (Chinese: 三芝飛碟屋; pinyin: Sānzhī Fēidiéwū), also known as the Sanzhi Pod Houses or Sanzhi Pod City, were a set of abandoned pod-shaped buildings in Sanzhi District, New Taipei City, Taiwan. 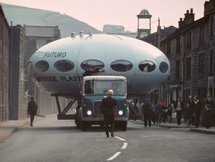 The buildings resembled Futuro Houses, some examples of which can be found elsewhere..